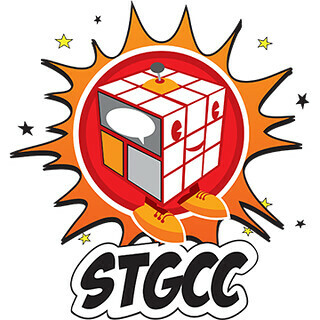 If you ever find yourself at Singapore’s international terminals at odd hours — say, 3:00 in the morning? 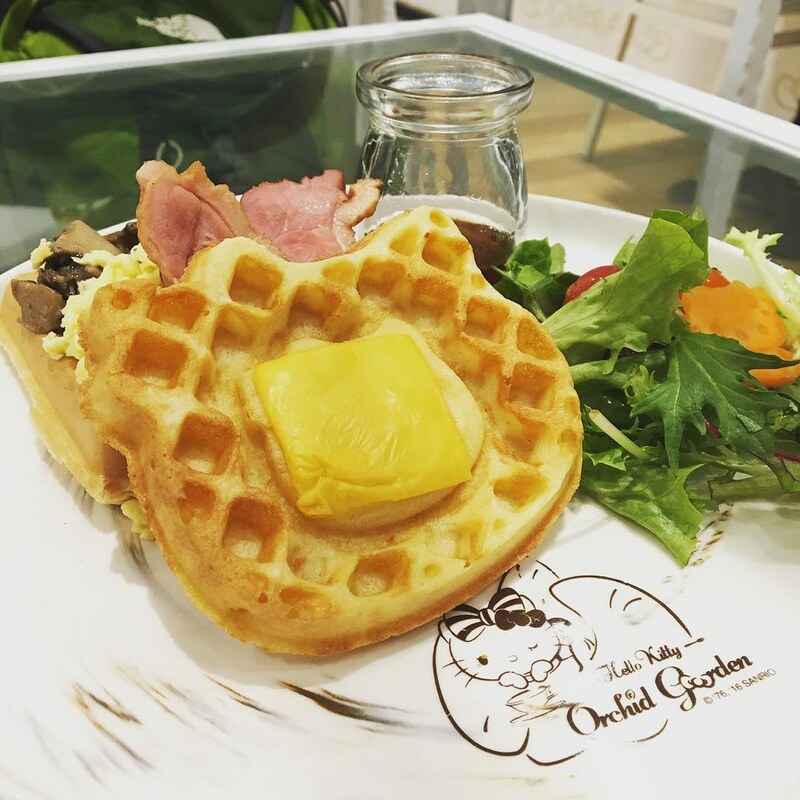 It’s a great time to visit one of the newest 24-hour attractions to open in Changi Airport: Hello Kitty Orchid Garden cafe and bistro! 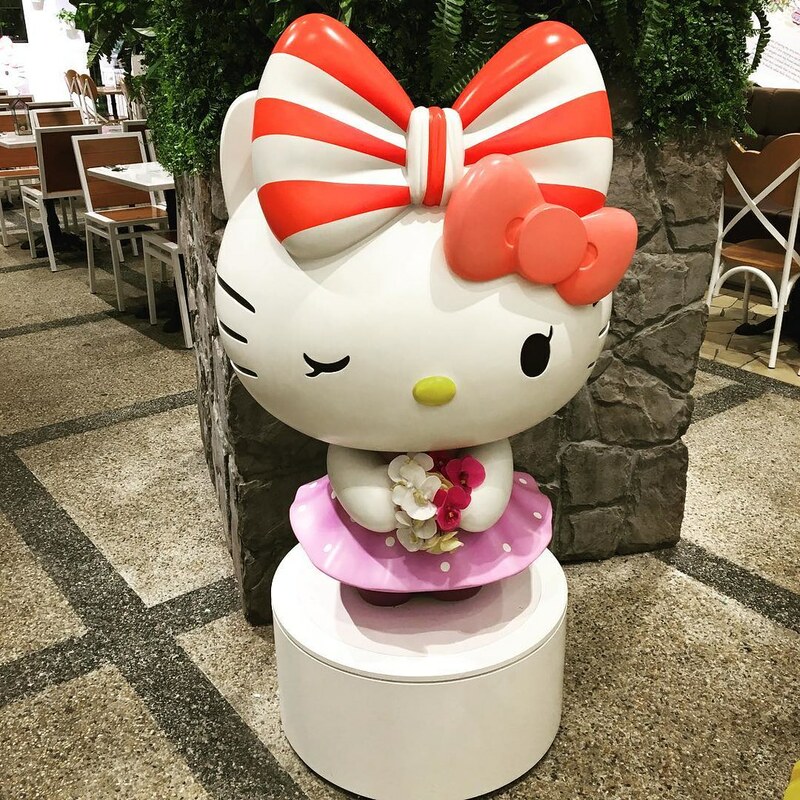 Opening in May 2016, the cafe has drawn hordes of Hello Kitty fans from all over the island-nation. The cafe finds its design and food inspiration from the country’s official flower, the orchid. There are touches of Hello Kitty’s Japanese heritage as well — from the wagyu steaks to the matcha desserts. The line to get into Hello Kitty Orchid Garden had stretched to a three-hour wait at one point, so many eager diners left in disappointment. This did not discourage us however, as a serendipitous 2:00 AM pick up meant that we could visit the cafe at a time when everybody else was fast asleep! Having arrived at an ungodly hour, the kitchen was only serving a limited breakfast and bistro menu — nevertheless, every singe item we ordered was delicious (much better than other theme cafes in the city!). The ice bream sundae alone is worth the $20 cab ride to get from the airport to our flat! 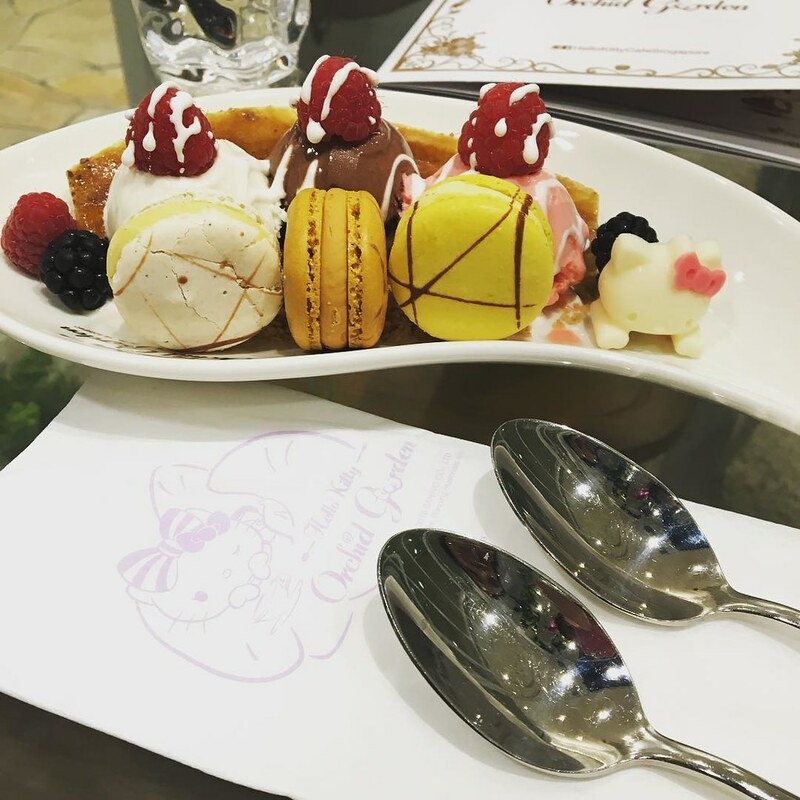 So if you have an insomniac friend and maybe a hundred bucks to burn, we highly recommend a late night run for cute and cuddly munchies at Hello Kitty Orchid Garden. 5/7 would eat there again! Next Post Celebrate Your Love for Anime — with ANIPLUS HD’s Anime in myLife 2016!